Thanks Janice for coming here from the east side of the mountains to purchase this rifle with extra magazine! The look and feel of an AR in a lightweight, fun-to-shoot 22LR Rimfire. A-2 style adjustable sights| 22LR | CAPACITY: 25+1 | BARRELS: 715T Flat Top: 16.25″ Barrel + A2 Muzzlebrake; Crowned Barrel | STOCK FINISH: Black Synthetic. FEATURES: 6-Position adjustable stocks have a length-of-pull range of 10.5″ to 14.25″ ensuring a proper, comfortable fit; 25-round models come with convenient accessory loader cap that helps load magazines faster and with less effort. 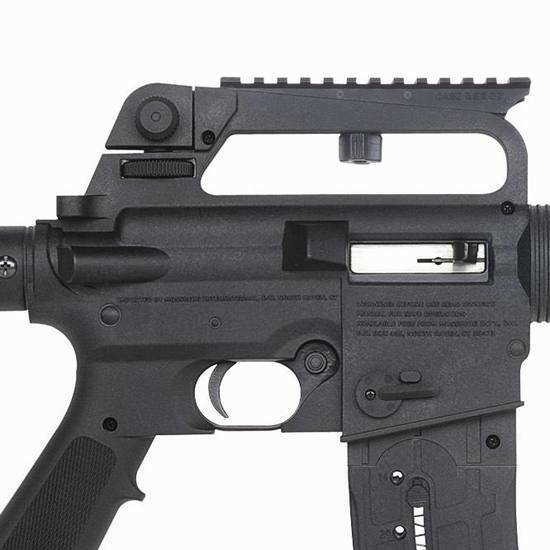 All 715T rifles feature a vented quad-rail forend for use with a multitude of available accessories like lights, sights, lasers, and forend grips. 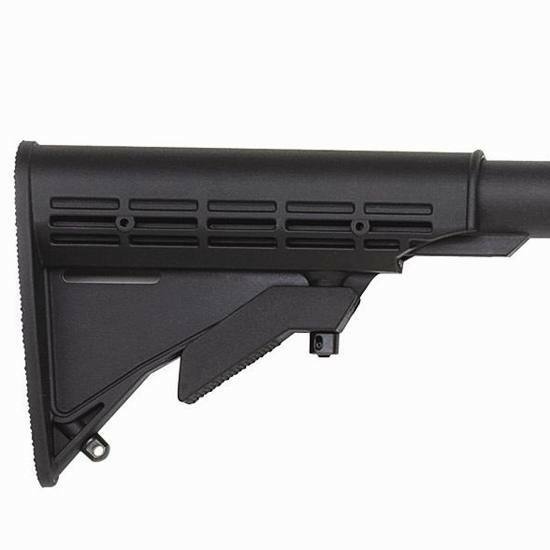 The Mossberg 37204 Tactical AR Rifle in .22 LR features an 18-inch barrel with 1 in 16in twist, blued finish, adjustable M4-style stock, front A2 style post sight, rear ghost ring sight, AR-style carry handle, quad Picatinny rail, sling mounts, and a 25 round capacity.